Whether recovering from surgery or facing a terminal illness, many of our nation’s seniors share a similar desire – to stay in their own homes rather than a hospital or nursing home. While many home health and hospice care companies are committed to making this wish a reality, others put profit above honest service to their patients. Health care fraud permeates all facets of our medical system and home-based senior care is, as a recent case suggests, no exception. Our California health care fraud firm is committed to helping fight all forms of Medicare fraud, including fraud involving this growing facet of our health care system. Along with its affiliates, Amedisys Inc. comprises one of the largest providers of home health care services, with five locations in Northern and Central California according to the company website. Late last month, the Department of Justice (“DOJ”) issued a press release announcing that the company agreed to pay $150 million in order to resolve allegations filed pursuant to the False Claims Act. 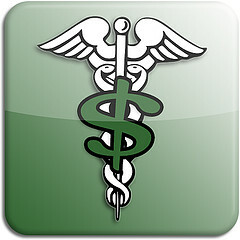 The claims suggested that, from 2008 through 2010, Amedisys improperly billed Medicare for services that were medically unnecessary, were provided to patients that were not eligible for home care, or otherwise involved misrepresentations of patients’ medical conditions in order to increase Medicare payments. According to the DOJ, the fraudulent claims arose from pressure on employees to provide care based on the company’s financial interests rather than the actual needs of their patient. Additionally, the lawsuits alleged that the company maintained inappropriate financial relationships with certain referring doctors. The DOJ and various United States Attorneys’ Offices expressed a commitment to ensuring that Medicare funds are reserved for genuine health care needs, including medically necessary home health services. They declared the settlement a victory for taxpayers, noting it also includes an agreement that Amedisys will implement compliance measures intended to prevent future false billings. Like many other claims involving health care fraud, the suits against Amedisys were brought under the False Claims Act’s qui tam provisions. These provisions allow private citizens to file civil suits on the governments’ behalf. In recognition of their role in these cases, the whistleblowers are entitled to a share in any recovery. A total of $26 million will be split among the Amedisys whistleblowers. According to a Bloomberg report, the claims were filed by five individuals, including three former employees. Medicare fraud is shockingly common. In many cases, companies seem to approach Medicare billings as a game with the goal of recovering as much as money possible without regard for actual health care needs. Bloomberg’s discussion of the Amedisys case notes that the whistleblowers referred to a program used to trigger higher payments as “the special sauce” – a detail we find especially upsetting because it suggests the company was flippant about filing falsely inflated claims. Private whistleblowers are essential to the fight against companies that are, in effect, stealing from the already-strained government health care system. We believe that there are many individuals who are aware of Medicare fraud who recognize it as wrong but do not know what they can do about it. We encourage such individuals to contact our office and speak with our experienced Medicare fraud attorney. We understand and appreciate the bravery of those who report health care fraud and our Northern California whistleblowers’ attorney will help ensure your concerns are heard while you are also protected from any and all retaliatory efforts.